Change is an unavoidable reality of life. In our ever-evolving world, a leader must take responsibility for anticipating change, understanding its implications and guiding people through it. Doing this requires a blend of bravery, flexibility and determination. On February 22, during the Elevate Leadership series co-sponsored by the Stillwater Chamber of Commerce and Meridian Technology Center, Dr. Rebecca Eastham will present “Leading Others Through Change.” This session will unpack the common patterns and responses associated with change and will equip you with the skills to help yourself and others navigate the “white water” of change in today’s business environment. 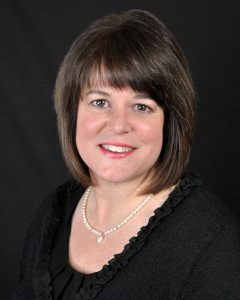 Dr. Rebecca Eastham, Executive Director of Business and Industry Services at Meridian Technology Center, works with clients to identify training and development needs throughout their organizations and matches resources to assist in meeting those needs. She provides support in the areas of human resources, strategic planning, team building and organizational development. Eastham holds a master’s degree in human relations with an emphasis in employee development from the University of Oklahoma and a doctorate in human sciences from Oklahoma State University.